"ALL IN!" ... "YEAH, I WON!" (In the background) "DAMNED! How the hell can I lose with a Full House?" In the world of Texas Hold'em, it doesn't matter how rich or how important you are. Over here, glory will only be bestowed to winners and the losers ... forgotten. So all you player listen up! Look at your hand carefully and bet cautiously. Will it be an "ALL IN", a "FOLD", or something else? The best part of the game is to bluff your opponent to fold and win with a lousier hand. Once you are able to do that, I will assure you that this devilish and sweet feeling is EXTREMELY ADDICTIVE! 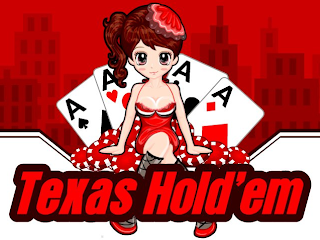 Welcome all to the open beta launch of Viwawa Texas Hold'em. Do email us @ support@viwawa.com if you encounter any problems or difficulties with the game. Do LIKE our Facebook Page: http://www.facebook.com/viwawa.texasholdem as well! Currently, xp from Texas Hold'em will not contribute to club experience. There will be announcements if there is any update to that.